If you’ve got a wedding to attend, chances are you’re probably wondering what to give the happy couple. Cash is the easy way out, but what if you really want to give them something meaningful, that they’ll truly treasure? 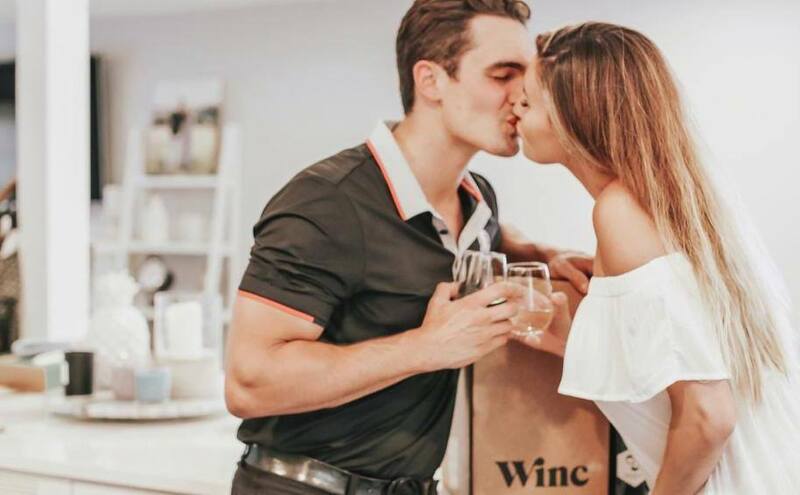 Thankfully, more stores are coming out with unique and personalized gifts for weddings. Consider thinking outside the box and pick up any of these special items, or experiences, for the bride and groom. GiftYa cards are accepted for all the items below, so why not use that to purchase a wedding gift! When you’re out searching for that special gift, you’ll never have to worry that you’ve misplaced your gift card, or worse, left it at home. 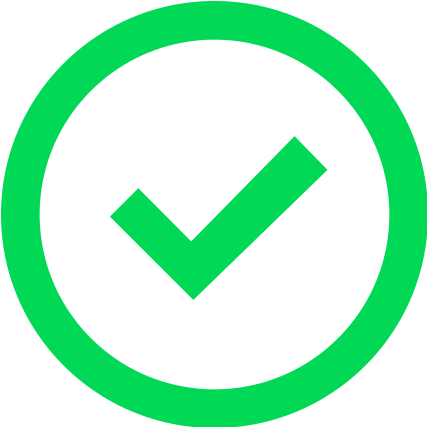 Your GiftYa card transfers directly to your debit card, so it’s always ready to be used! This is number one on the list of the best wedding gifts for a reason: everybody wants these classy dishes! If CorningWare isn’t on the bride’s registry, make sure you pick it up for her, as their uses are endless. It could be the minimalist white or the perfectly rippled outside casing, but we think it’s because they can cook your dish and transport it once it’s ready to serve. 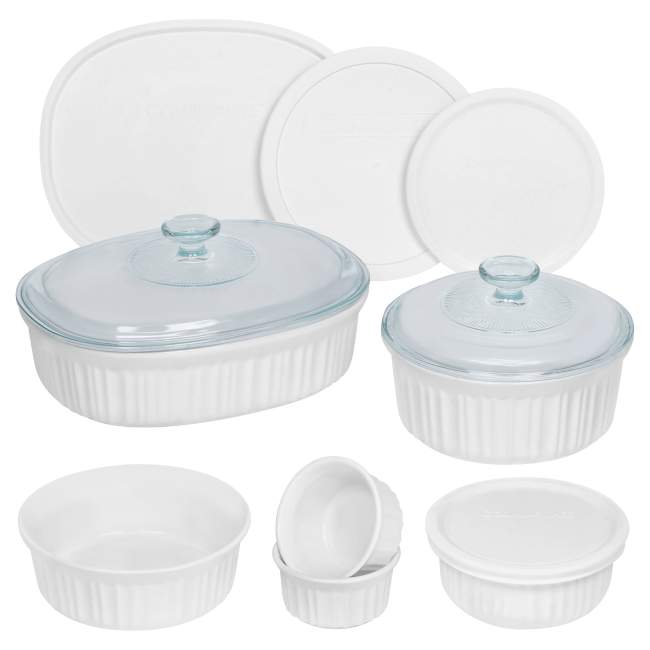 They’re stackable for easy storage, can be used in the oven, and are dishwasher safe, which is a big plus. Not to mention they are a breeze to clean. Any couple would happily accept these! If you're looking for a useful wedding gift sure to please, pick up any one of the handy Cuisinart hand blenders. They come in all shapes and sizes and would be a welcome addition to any home. Image courtesy of Cuisinart. Always a very popular wedding gift for couples in Pittsburgh, this Cuisinart hand blender is ready to take on anything you can throw at it. Sometimes a food processor or an regular size blender is just too big. Sometimes what you want to blend ends up actually underneath the blades or is missed entirely. Here’s where a hand blender comes in handy. Just immerse it in whatever you’re trying to mix and watch it whirl away. Quick and easy with minimal clean up. Most models have variable speeds and are cordless, so once it’s charged, you can take it anywhere. The possibilities are endless with this set. The newlyweds will definitely appreciate this solid choice. Image courtesy of Calpalon. This set is a must-have for any couple starting out together. 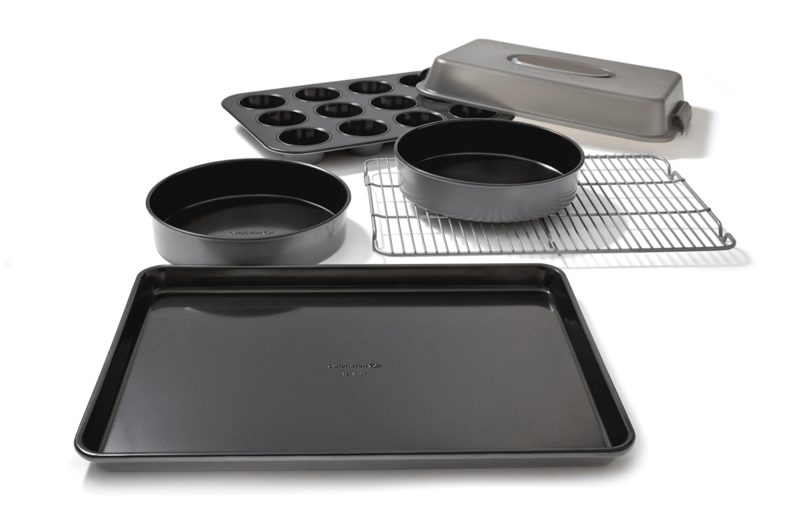 It covers all the basics, from your flat sheet pan, to a wire rack, a cupcake sheet, and 3 types of baking pans. There are so many possibilities of what you can whip up in the kitchen with this hardy, Calphalon set. If either the bride or groom likes to bake, even better-- they’ll be making cupcakes in no time. The set also includes a bread pan and 2 types of pie dishes. Not into something sweet? No problem-- a savory quiche or Shepherd's pie would be right at home in these pans as well. Every Pittsburgher knows the importance of having a properly stocked home bar. And what better way to start than with the basics. Most newlyweds will be in the process of setting up their home for entertaining, and an important part of that is having the tools to make drinks for guests! 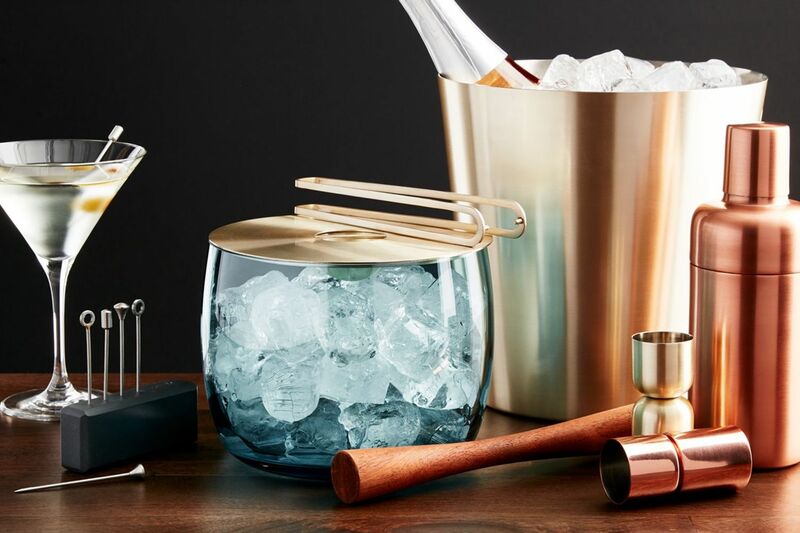 Get that special couple on your list a good set of bar tools and a sturdy ice bucket. A proper set would include a muddler, bottle opener, jigger, and strainer. When having guests over, the bride and groom will always think of you as they’re concocting their favorite drinks. 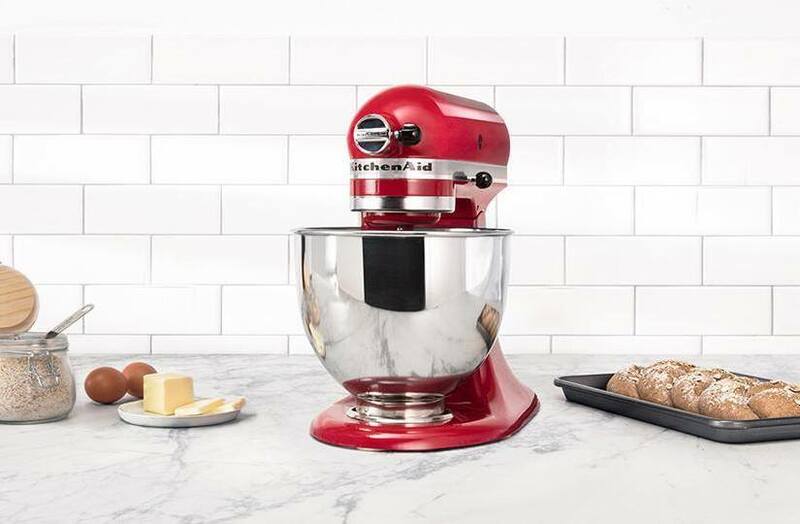 No home is complete without a KitchenAid mixer- truly a countertop staple! They’ve been around for ages and have helped many a young couple learn to cook-- and to bake, for that matter. Another cool feature is that it comes in 12 vibrant colors, so you’ll be sure to find a match for their decor. Even if the couple you’re buying for doesn’t cook all that much, when they have access to this mixer, they’ll be looking for reasons to get in the kitchen. Don’t forget about the attachments that come with it as well, including a flat beater, dough hook, and wire whip. If the couple you’re buying a gift for likes to do things outdoors, why not pick them up a unique experience instead of a gift from a store? 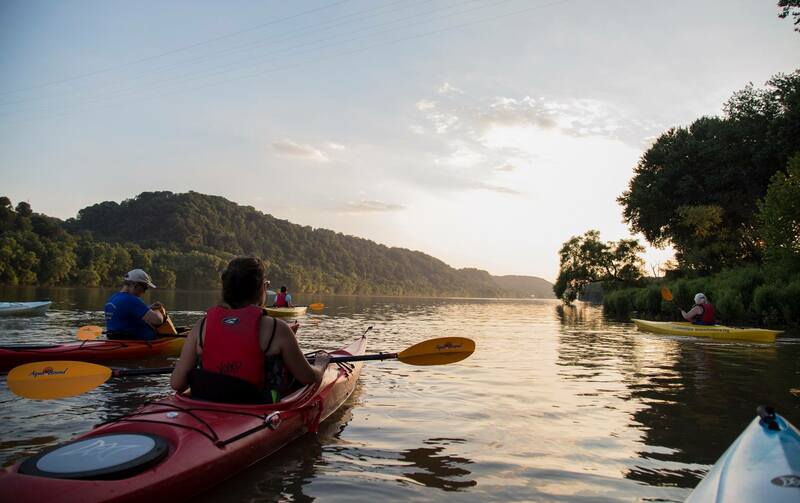 A great option is a gift card to Kayak Pittsburgh. No experience is necessary, so not to worry if they’ve never been on the water before. There are 3 launching points to choose from, including North Park, the North Shore, and Aspinwall Riverfront. If they want to try their hand at Stand Up Paddle Boarding, they also have that as well! Who knows, maybe your gift card to Kayak Pittsburgh will be the start of a new, healthy hobby for the bride and groom! Looking for a great way help the happy couple stay organized post-wedding? Pick them up an Amazon Echo, and let Alexa take care of it. This is your one stop shop to keep a calendar, get news and weather updates, set timers and alarms as well as play crystal clear music. 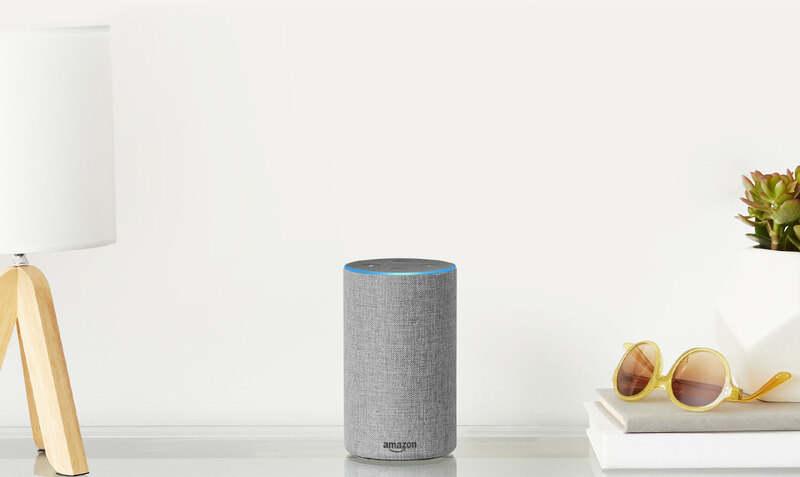 If they already have one Echo, or Echo dot, they can sync both speakers up and listen to surround sound, or have it play in multiple rooms of the house. More and more appliances are also becoming Alexa compatible, which means that the new couple can control the lights, the TV, thermostat, and even blinds with just their voice. Once the wedding is over, help the happy couple keep the party going with a Winc Wine Club Membership. Whether they consider themselves wine connoisseurs or wine newbies, they’ll enjoy picking out what to try and having it delivered to their doorstep. It’s really that easy. You just need to set up an account, browse through wines that look interesting, and wait for it to arrive! You only pay for the bottles you like, and members can cancel at any time or choose to skip a month. With the huge selection of good wines available, we’re pretty sure they won’t be skipping a month anytime soon! Give the gift of travel! Whether they have a honeymoon lined up or not, the bride and groom will definitely appreciate a weekend getaway! Most modern couples really want experiences, and what better way to get them what they want than with an Airbnb gift card? This wonderful way to visit new places is quickly becoming more popular than the traditional hotel stay. It’s easy to see why, with options to rent a room, an apartment, or even a whole house for the duration of your stay. Airbnbs are a great option for those couples who prefer to be immersed amongst the locals and who would rather do some of their own cooking as well. 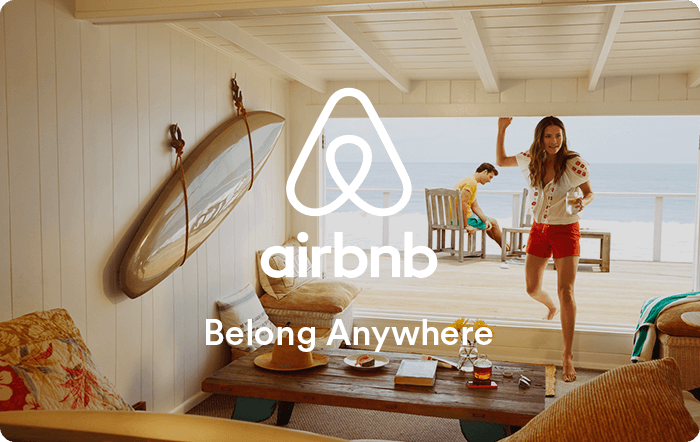 Airbnb has also significantly expanded in recent years, and spots are available in more and more cities and towns across the world than ever. Who knows, maybe they’ll get to use this gift on their honeymoon! A great wedding gift, and one that the couple could really use on their honeymoon, is a nice matching luggage set. 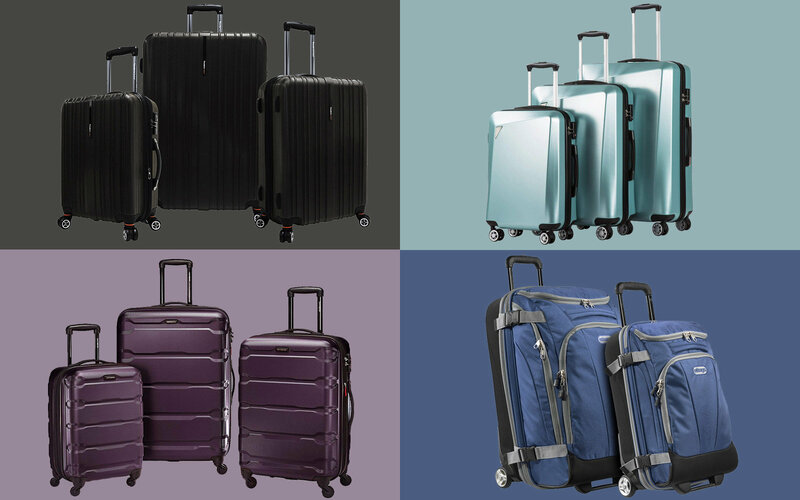 Often overlooked, having a good set of luggage goes a long way, especially if you know they like to travel. Don’t worry about picking the wrong color. As long as you stick to something basic-- like blue, black or red-- you should be fine. They can always add a personal touch later. Every time they start to pack up for a vacation, or even a weekend getaway, they’ll always think of the guest that got them such a thoughtful gift! Everyone in Pittsburgh knows about this resort. And whether they’ve been there or not, what couple wouldn’t love a weekend getaway of skiing, dining, and relaxation! Get them a gift card to 7 Springs, and they’ll be able to hit the slopes all day. Boasting of everything from casual bar food to fine dining, the dinner options are also top notch. When done with skiing, they could decide to use the gift card at the famous Trillium Spa, and get a relaxing massage or steam treatment. It really is a nice little getaway only about an hour from Pittsburgh. Searching for the perfect wedding gift can be exhausting, especially because there are so many options! If you’re looking to give the bride and groom more than cash, we hope you’ll consider any of the options above. You can be confident the couple will be more than pleased with your choice! Have you purchased any of the gifts above? Let us know in the comments!